Actually 3 people (as long as they're all mostly average-sized). Chances are, not only the tents in this review but ALL 3 person tents out there will be too small for you! In that case, I'd recommend you to check out my top picks for 4 person backpacking tents. Tents aren't one of those other average backpacking gear you'd be OK to regret buying in the future. They're expensive - especially 3-4 person backpacking tents. ​Also, in this review, I'm talking about backpacking tents. Of course, these tents are smaller and less luxurious compared to car-camping tents, but they offer better performance which are important for backpacking: not just comfort and durability, but also size, weight and compactness. In my opinion, MSR Mutha Hubba NX | $438.95 takes the first place due to its versatility and well thought out overall design. It maybe isn't the "best" in any criteria alone (except the design, as it's very pretty), but it's just at the sweet spot of all criteria: Volume, weight, durability, comfort and compactness. In second place there's Nemo Dagger 3P​ | $499.95 because of its ridiculously easy set up and lighter weight. It's just shy of being the winner - and to be honest, in warmer temperatures, I'd even recommend it over Mutha Hubba NX. 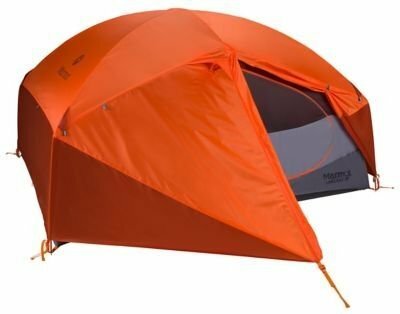 Big Agnes Copper Spur HV UL3 | $499.95 is very similar to Dagger 3P (and actually even lighter! ), but the geometry isn’t as convenient, and its special construction requires a bit of "special treatment". Marmot Limelight 3P | from $561.10 is a bit too heavy compared to the others but it EXCELS in bad weather and is built like a castle. Lastly, Teton Sports Mountain Ultra 3 | $160.00 is a great option for beginners. Although it’s the heaviest, it’s also the LARGEST tent in this list! Now let's get to the reviews one by one. I'll then explain how I chose and ranked these tents. As some of you may know, MSR Papa Hubba (the 4-person version of the Hubba Hubba series) has won my roundup for best 4-person tents as well, and this is the 3 person model of that tent. The size and weight are adjusted to fit one less person inside. Like Papa Hubba, you’ll notice that also MSR Mutha Hubba NX | $438.95 isn’t as lightweight as Big Agnes Copper Spur or Nemo Dagger, in fact it’s almost 1 lb heavier. However, in my opinion, in most cases it’s worth the increased durability and weather resistance. The inside of the tent still feels roomy thanks to the cross pole design. If you’re worried about the weight and you want to go even more minimalist, Mutha Hubba can be set up only with the footprint (sold separately), poles and rainfly. If this sounds a bit too minimalist you can check out the Fast & Light Bodies by MSR. The tub style floor offers more protection from rain and dirt compared to just the footprint and the entire setup weighs only 3 lbs 10 oz! MSR Mutha Hubba interestingly has a very small amount of mesh on the main tent body. This can be positive or a negative depending on your perspective. This is also probably the reason for the extra lbs this tent has over Big Agnes Copper Spur. Less mesh paneling means a warmer and more durable tent overall. This may be a problem if you frequently camp in warmer areas but it also creates more privacy and heat retention in colder climates. This also means that you can camp without the rainfly without being completely exposed to the whole campground. One main advantage Mutha Hubba has over Big Agnes Copper Spur and Nemo Dagger is the durability. MSR uses the Xtreme Shield Waterproof Coating on the raincover of the Hubba Hubba series. Check its assembly instruction manual [PDF] here. This technology claims to be three times more durable than the classic coatings. The seam tape frequently is one of the first parts of a tent to degrade and MSR has put extra attention and added precision stitched seams. Also, a good alternative to this tent is MSR Elixir 3, which I reviewed in detail here. Also with the design of this tent, they took the time to make it work in bad weather. The cross poles create stability even with strong winds. As someone who has had poles snap under high winds, I really appreciate the easton cyclone poles that MSR boasts as “indestructible”. Another downside (although not a big deal) to this tent is that unlike most tents the seam aren't sealed but they have precision stitching. MSR claims this increases the longevity of the rainfly as the seals usually peel of after a few years. However, if you are going to use Mutha Hubba under a lot of rain you might consider sealing the seams yourself. Check out this sealant from GearAid that is also recommended by MSR. In short, to me, MSR Mutha Hubba NX is the best overall tent for 90% of us. Nemo Dagger 3P | $499.95 is a great backpacking tent. After seeing Big Agnes Copper Spur HV UL Series I was convinced that there couldn’t be any other tent out there with a better size to weight ratio, but Nemo Dagger Series definitely compete. Besides being only 3 lbs and 12 oz., the packed size is also very good. The stuff sack comes in two stages which allows you to split the load up between two people. Especially during a long backpacking trip, this is much better for weight management in your packs. Hubbed and color coded main pole make it super easy to set up. There's also a short mid pole for increased tent volume. One downside of the setup process is that since the tent body is mainly mesh, it is very inconvenient to set up in the rain. You might find buckets of water in the inside of the tent once you finished pitching it. and the other is to first pitch the tent with only the rainfly, main pole and footprint. Unfortunately the footprint is not included so you have to buy it separately. The footprint adds an extra 8 oz. but it is 68D polyester. Compared to the 30D floor fabric this will definitely improve the durability and longevity of the tent. Even though the setup is actually very easy, the sockets for the poles are a little bit different than the classic designs. The poles have small balls at the end they correspond to Jake’s Foot fitting in the corners. You can check the set up instructions here. Another thing that might be a problem is that there's no ventilation on the rainfly. Since the main tent body is completely mesh, there is great ventilation inside. The rainfly doesn’t have any windows or vents. In colder nights, this results in condensation in the inside of the rainfly. This condensation rains back into the tent and you usually wake up with a wet sleeping bag. However, besides the problem of not having ventilation windows, the rainfly has great waterproof qualities with 15D ripstop nylon. REI has a good article on preventing condensation inside your tent. While this tent is decent at colder temps and bad weather, it’s amazing in warmer weather. The mesh on the tent body is dual colored. White for the side walls for protection and black on the top for stargazing. This is a great feature while camping in summer and turns every night into a special experience. Also, Nemo added two corner pockets made out of special mesh that diffuses the light from your headlamp to create even lighting inside the tent. Everyone who has stayed in a tent knows that trying to light the tent with only headlamps usually ends up blinding someone so this feature is definitely a big plus. 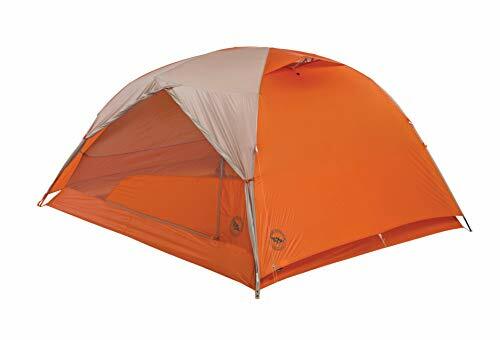 Big Agnes Copper Spur HV UL3 | $499.95 is a great backpacking tent. Technically speaking, HV UL4 earned the first place in my my top picks for 4 person backpacking tents. “HV” stand for high volume and it sure lives up to its name. You'll find it absolutely unbelievable how Big Agnes can achieve this low weight to size ratio - and the answer is in the fabrics (more on this later). The tent weight is 3 lb 7 oz - which is the lightest in this list and (probably) out in the market, but you can also use it in the minimalist version with only the footprint, poles and rainfly, which makes it even lighter at only 2 lb 12 oz. You could also easily use this tent for 2 people and it'd still come very light. Another important thing to mention is that this whole tent is asymmetrical. This creative design certainly has its ups and downs. It optimizes the space and weight very well, so you don’t carry what you don’t need. ​However, the tub style bottom fabric doesn’t rise as high in the narrow section, so the person sleeping on that side is more exposed to the outside. I also personally find this design to be a bit unnecessarily complicated. In terms of design, I'd say Dagger 3P and Mutha Hubba NX are the two best in this list. The poles of this tent are also asymmetrical. This maximizes the tent volume, but you should be careful when setting up the tent. There's one main integrated pole and a short brow pole for increased volume. The ends of the poles are color coded to match the corners on the rainfly so setting up is still pretty easy. The tent comes with aluminum j-stakes that should be fine if you use rocks to tack down. However, they're grey, so be careful not to lose them. An interesting feature: Big Agnes Copper Spur is also sold with integrated LED lights. This is the patented tent light system from Big Agnes: mtnGLO. ​With a push button controller you can light up the inside of the tent in a soft light. So if you hate using a single source lighting system when you're up inside your tent at night, you might want to check out Big Agnes Copper Spur HV UL3 mtnGLO | $549.95. Let's talk about its fabric. As you can guess, this is both the best and worst thing about this tent. In order to achieve THIS much of light weight, the tent is mainly mesh and is made of very thin fabrics - although the material is the same: Ripstop nylon. As a result, it IS ultralight, but you must treat it more gentle to sustain its intended lifetime (durability) & performance. Using a lot of mesh also has its effect on the privacy, as you can guess. Especially if you're 3 female backpackers, and you're backpacking a not-so-safe region, this might be a good thing to consider. Along with Dagger 3P, this tent is my top pick if you're an ultralighter. Marmot Limelight 3P | from $561.10 is heavier than other alternatives in this list, but considering the high quality & very highly weather resistant materials, the weight is excusable and might worth it for some backpackers (although that's not me!). The most interesting feature of this tent are the pre-bent poles as they increase the interior volume a lot. You don’t get the classic cramped feeling of your head touching the tent walls when you’re sitting upright. They also increase the vestibule volume, super handy if you’re using the tent in bad weather. However, the downside is that the pre-bent poles make the packed size very bulky. The two doors of this tent are massive. This allows you go in and out of the tent very easily. There's a storage pouch for the tent door when it’s fully open. ​The main advantage Marmot Limelight 3P has over the others in this list is how good it performs in bad weather. Both the rainfly and the floor fabric is 68D polyester. The zippers on the vestibules are storm shut with extra flaps and there is two windows on the door for ventilation. The design of the tent is like a castle and it holds like a castle under high winds and rainfall. The main downside of this tent is the weight, if you'll be doing long backpacking trips into the wilderness, maybe go for something lighter like Nemo Dagger 3P or Big Agnes Copper Spur HV UL3. Another downside that everyone notices is that this tent definitely doesn’t come with enough stakes. However, you can purchase them separately or even reuse some leftover stakes from older tents. If you'd like to read more about this tent, I also compared it to often-compared, similar model Marmot Tungsten here and explained why Limelight 3P is the superior one. If you'll be backpacking in severe weather often and wouldn't mind the extra (nearly) 1 lbs (compared to also well weather resistant Mutha Hubba NX), this tent is what I'd recommend to you. ​Even by looking at the technical specs, it's easy to see the ups and downs of Teton Sports Mountain Ultra 3 | $160.00. On one hand, it’s much taller and wider than the alternatives, but on the other hand, it’s much heavier. However, it’s important to note that this tent is almost as big as the 4-person versions of the others. So if you were looking for a 3-person tent to share between 2, you might even check out the 2-person version of Teton Sports Mountain Ultra 2 | $119.90. However, for the sake of the title of this review, I’ll talk about the 3-person model. This tent is as classic as a tent can possibly be. Two cross poles create the main frame and short brow pole increases volume in both the tent main body and the vestibules. The brow pole extends in the direction of the doors. The set up is still relatively simple but not as simple as the hubbed pole tents. Note that if you’re planning to use this tent without the raincover, you’re fully exposed to the world. The entire tent body is made of mesh and while the views are great, it offers absolutely no privacy. ​The rainfly comes with one of these ventilation windows on each side - an important feature when camping in colder temperatures. While the mainly mesh tent body means that this tent will be more comfortable in winter, the rainfly covers all areas and offers pretty decent protection against the elements. The rainfly is 3000mm PU, meaning that it's thick, and provides mid-high rain protection. I also quite like the shape of the rainfly. The walls of the tent aren’t very vertical but since the tent floor area is already very large, I don’t think the lost volume will bother anyone. The sloped walls will hold up much better in high winds by creating a path for the wind to flow. One thing I don’t like is the stakes, the tent comes with the classic wire stakes that bend super easily. So, you might have to replace after using the tent for some time. Mountain Ultra 3 has two doors and two vestibules. The footprint is included, but there's no way to attach the tent to the footprint so it awkwardly slides around when you're trying to pitch the tent. There are multiple mesh pockets inside for gear storage. Basically, it has all the basics you would expect out of a good backpacking tent, and it offers the largest inner volume in this list. My top pick for beginner folks. 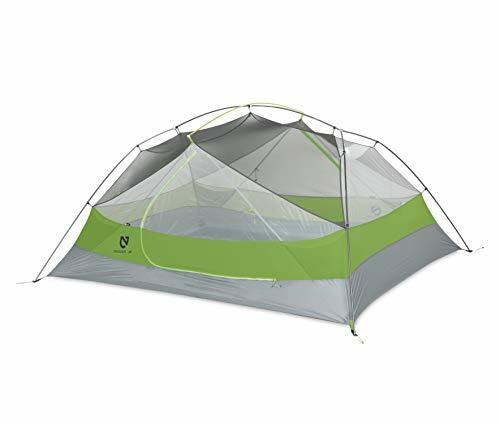 If you want a similar quality tent to Teton Sports Mountain Ultra 3 but with less weight, you can also check out ALPS Mountaineering Zephyr 3 | $144.66. I might prefer Mountain Ultra due to its simpler design and durability for some trips, but Zephyr series are also a good option for beginners. So what to look for in a tent? Since we are not looking at tents for car camping our criteria are a little bit different. Of course for improved comfort, the size of the tent both in terms of floor area and peak height is important. However, the weight and packed size also becomes very important. Also, the weather durability is crucial when you are out in the wilderness without any access to any car to save you out of a bad situation. Lastly, we are looking at the comfort and small design peaks of each tent. Of course the most important criteria when choosing a backpacking tent is the size and weight ratio. 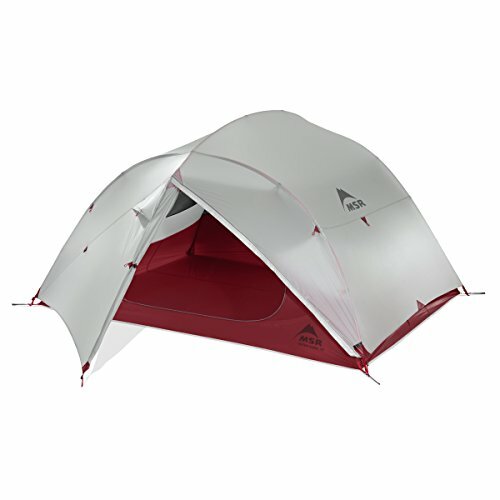 Big Agnes Copper Spur HV UL3 is the lightest tent on this list and on the market. Nemo Dagger 3P is a close second with only 5 oz more and a slightly a larger floor area. You could easily use either of these tents for two people and they would still be very lightweight. 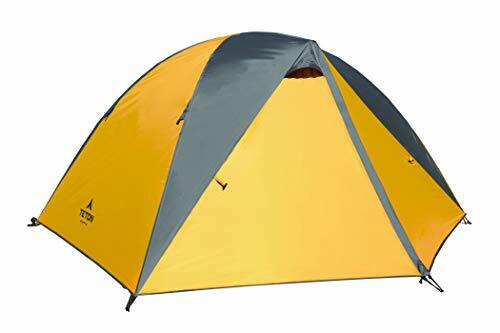 ​When we look at the sizes of these tents, it’s not very straightforward. For example, MSR Mutha Hubba NX and Marmot Limelight 3P has smaller floor areas but they have taller peaks and vertical walls that increase the overall tent volume. If you are into staying inside and playing cards this should be your preference over a larger floor area. Another option you have when using these tent is the Fast Fly option. This is when you only use the footprint, poles and rainfly to pitch the tent. This is a very basic shelter but it saves you quite a lot of weight and space in your pack. However, if you’re planning to go with this option I would recommend the Fast & Light Body of Mutha Hubba NX which has a more tub style bottom rather than just the footprint. During rain of sandstorms this offers very much needed protection. The special Fast & Light Body for MSR Mutha Hubba NX is far better than using just the footprint. ​Nemo Dagger 3P has a dual stage packing arrangement where the tent body and the poles can be packed separately. Classically the person who has the tent suffers a lot because the load never decreases. This packing style allows the load to be split between two people and the suffering to also be split between two people! ​In all honesty, event though all of these tents are rated for 3 seasons only Marmot Limelight 3P fully lives up to this rating. Or it would better to rate it 3+ seasons. You could even consider using it in the snow and it should hold up. Regardless, if you're planning to camp in cold weather using any of these tents, read my 3 most effective tips for heating a tent without electricity. ​I’ve already mentioned in all of the individual reviews how important it’s to have good ventilation. The reason for that is, when the temperatures dip close to or below freezing, the water vapor from our breaths condense when they touch the rainfly and come back as rain inside the tent. In extreme cases this would cause you the wake up with fully wet sleeping bags and equipment inside the tent. It’s super important always leave channel open for the escaping water vapor. If you’re going to camp mostly in the summer with lighter weather conditions, I can safely recommend Nemo Dagger 3P as the best ultralight tent. However, it doesn’t have any ventilation windows on the rainfly and this causes condensation on colder nights. The cross pole structures of Mutha Hubba NX and Marmot Limelight 3P increase wind-durability. Both of these tent also have higher non-mesh sections that prevent rain splashing into the tent in rainstorms. You can tell by all of these details that they had worse weather in mind when designing these tents. Unfortunately, the materials on the super lightweight tents aren’t the most durable. Big Agnes Copper Spur HV UL3 is an amazing tent but the materials on it are quite fragile and it’s probably not the best choice for beginners that have no experience on how to care for a tent. Using your tent in more extreme conditions means that they will degrade faster. Extreme conditions also include severe sunlight and sandstorms. Learning how to properly take care of them before and after trips will lengthen the lifetime of your equipment. REI has a good article on caring for your tent. ​When most of us are buying a tent, we first look at the technical properties of the tents like the size, weight and materials. But the little details in design can really affect the camping experience. For example, even though it’s not a little detail, it’s very important to have double doors and double vestibules. Double doors mean good ventilation and easy bathroom exit at night. Double vestibules are also a big plus especially if you’re going to stay in these tents with 3-people. You can use one vestibule for gear storage and one for entry and exit, and cooking in bad weather. ​The integrated LED lights of Big Agnes Copper Spur HV UL3 mtnGlo are a cool feature that will impress everyone in the campsite. Dagger and Limelight also have light pockets that diffuse light when you put your headlamp there. Also, I know this isn’t the most important feature but I love the light green color of Nemo Dagger 3P, it’is still cheerful but blends into the environment. The rainfly of MSR Mutha Hubba NX is white which allows ambient light into the tent when it’s still light outside. It also has red details that make it stand out in the wild. Lastly, my other post how to sleep comfortably i​​n a tent can be a good read for you. I hope this review was helpful for you to understand which 3 person backpacking tent would be the best choice for your needs. Feel free to ask me any questions, provide feedback and I'll be happy to respond in the comment section below if it's within my knowledge.